Please vote in my poll to find out what are generally considered to be the best Black Sabbath and Ozzy Osbourne live albums. I was going to create a poll for the live Black Sabbath albums but then I remembered that Ozzy Osbourne usually performs the classic Sabbath songs as well. Sabbath were very slow to release a live album when Deep Purple had such success with Made In Japan. Even Led Zeppelin beat them to it with The Song Remains The Same. I don’t think there is an obvious winner here in contrast to the poll to find out the best Deep Purple live album – there was always only going to be one winner there but I am interested to see what comes in second and third. What Are The Best Ozzy Osbourne & Black Sabbath Live Albums? Please vote for what you think are the best you’ve heard. It doesn’t mater that you probably haven’t listened to them all. Where the name is in blue letters, I have put details on the Best Live Albums Blog so you can remind yourself about them. You can vote for up to 3 albums. 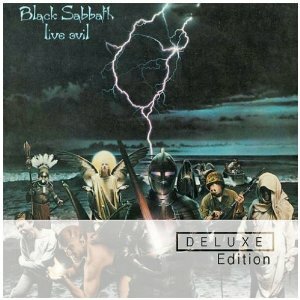 The album that has a clear lead is Live Evil recorded in 1982 with Ronnie James Dio on vocals instead of Ozzy Osborne. Some fans resist this album because it can’t be the real Sabbath without Ozzy but others are more open-minded when listening to these versions of War Pigs, Iron Man and Paranoid. 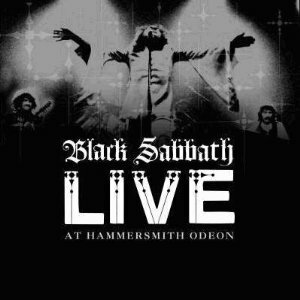 In second place is Live At Hammersmith Odeon recorde as 1981 turned into 1982, again with Ronnie James Dio on vocals. In third place is an Ozzy Osborne solo album, Tribute from 1980/81 as the singer paid tribute to his guitarist Randy Roads who was killed in 1982. While most of the songs were from his solo career, we have Iron Man, Children Of The Grave and Paranoid on the album. In equal fourth place are Live At Last by Ozzy”s Black Sabbath in 1973 and Osborne”s solo album Speak Of The Devil from 1982 with Brad Gillis on guitar. With 40 plus voters, the poll is taking shape but a surge of traditional Sabbath voters might boost one of the Ozzy with Sabbath albums. While I saw Sabbath live as a teenager, their music isn’t really to my taste although, since they were a local band, they had a strong following at school. Sadly I don’t think they’ve delivered a must-have live album in the way heavy metal fans flock to their five five or six studio albums. 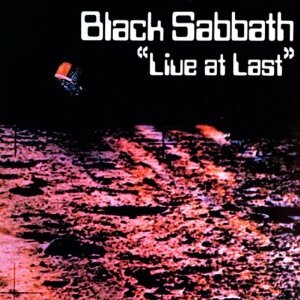 This entry was posted in Best Live Album Polls, Heavy Metal Live Albums and tagged Black Sabbath Live Albums by Paul Simister. Bookmark the permalink.